It is across the street from a Turkish imports store that specializes in Moroccan tea cups and Turkish coffee preparation. So there are a lot of interesting things in this neighborhood. One weekend I invited my mum there for tea. The tea place has an extensive food and tea menu, plus nice tables by the window. You also can choose your teapot, cup and saucer. 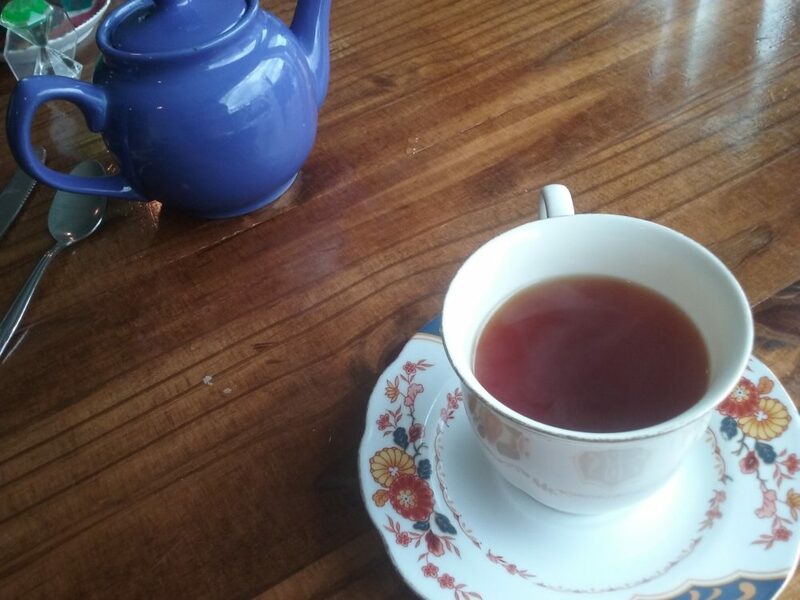 My mum and I ordered the tea snack platter (that also comes in the gluten free variety if you swing that way). 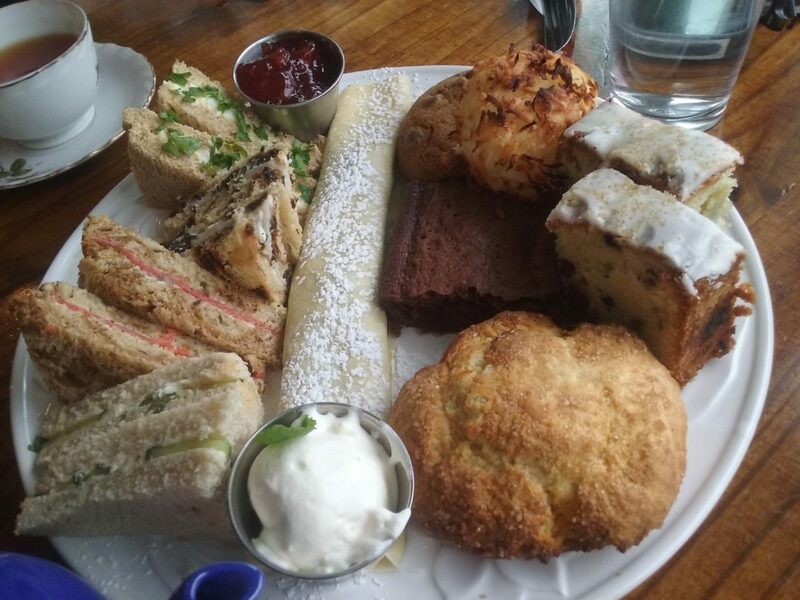 The sweet portion of the platter had a brownie, a macaroon, two kinds of iced fruit bread, a berry filled crepe, a large chocolate cookie and a scone with cream and jam. The true stars of the show, in my opinion, were the delicate tea sandwiches. There were four different kinds ( with two for each person) with cucumber mint, smoked lox, turkey on raisin bread and egg salad. Each of these used the softest bread (with the exception of the toasted raisin for the turkey) with expertly cut off crusts. With the other fresh savory ingredients, the sandwich felt like it was to melting in your mouth. The sweets needed some work in my opinion. The brownie and cookie had classic soft and chewy centers but the others were kind of disappointing. I felt that the macaroon was one dimensional and needed more sweetener. The crepe was decent but nothing to write home about. The issue with the scone was not its flaky texture and divine buttery flavor, but the jam was unexciting and the cream was not devon or any other kind of English cream. Was it whipped cream? I hope not….. I would like to drop by again because I really liked their savory selections, but I need a little more from their sweet side.